Delivering EFFECTIVE Pest & Scorpion Control in San Tan Valley neighborhoods like: Ironwood Crossing, Pecan Creek, Circle Cross Ranch, Encanterra, Laredo, Castlegate, San Tan Heights, John Ranch, Copper Basin, and surrounding areas! Responsible Pest Control San Tan Valley AZ GUARANTEES control of local pests like: SCORPIONS, Spiders, Roaches, Crickets, Ants, Bed Bugs, TERMITES & general pests. Responsible Pest Control San Tan Valley pro’s are highly trained and provide responsible applications for the safety of family & pets. Delivering EFFECTIVE pest & scorpion control applications with the best professional products available. Plus, they know & use proper dosage & responsible application methods. Delivering the most EFFECTIVE pest & scorpion control that’s FRIENDLY to your Family & PETS! Scorpions move into San Tan Valley neighborhoods and homes from surrounding deserts, washes, and rocked neighborhood drainage areas. Most homes in San Tan Valley are relatively new. Areas like Pecan Creek were once scorpion free but now have scorpions because they spread into the neighborhood. Eliminate scorpions around your home ad yard and keep them away with the Scorpion Control Experts at Responsible Pest Control! We aim for 100% customer satisfaction at Responsible Pest Control San Tan Valley, so our customers always come first! If you ever get a bug invasion between regular services, give us a quick call (email or text) and consider it done! Our office will schedule you for a re-treat right away, at no extra cost to you! Local, CLEAN CUT, experienced, & courteous technicians. GUARANTEED Pest & Scorpion Control! Using Premium products: highly effective & very low toxicity or odor. Booty covered shoes for treating inside your home. SPIDER WEB SWEEPING under first story eves. COURTESY CALLS the day before your service. 100% Satisfaction GUARANTEE on ALL services. Your family and pets safety are a top priority at Responsible Pest Control. So we Provide SUPERIOR service at AFFORDABLE prices using premium products that are highly effective yet have very low toxicity or odor. RESPONSIBLE applications are customized to your home and targeted pests so products are only applied where they are most effective. Our technicians go through continuing EDUCATION so we’re always improving our service and pest control. We’re happy to answer your questions, give courtesy CALLS, wear BOOTIES inside, SWEEP Spider WEBS, do Termite Inspections, and pay attention to DETAILS! So join 1,000′s of Happy Customers living PEST FREE in San Tan Valley AZ – GUARANTEED! Termite Inspectors visit your home to inspect for termites at your convenience (fee applies for escrow). They’ll identify & give written report of all Termite activity, infestation locations, conducive conditions & custom Termite Control options for your home! The type of Termite, & TERMITE TREATMENT needed for Termite control are explained by our licensed Termite Inspector via emailed report. Recommended termite treatment description showing where it will be applied and products used are included on Termite Reports. 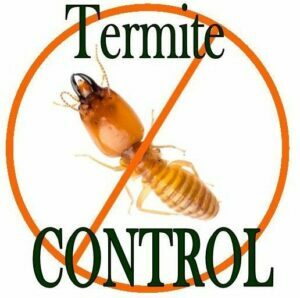 ALL our TERMITE TREATMENTS are GUARANTEED. Most homes in San Tan Valley Arizona had a pre-treatment for Subterranean Termites before construction began. Termite pre-treatment products CAN last up to five years. We highly recommend a Termite Treatment every three to five years thereafter. Schedule your Termite Inspection today! call 480-924-4111.